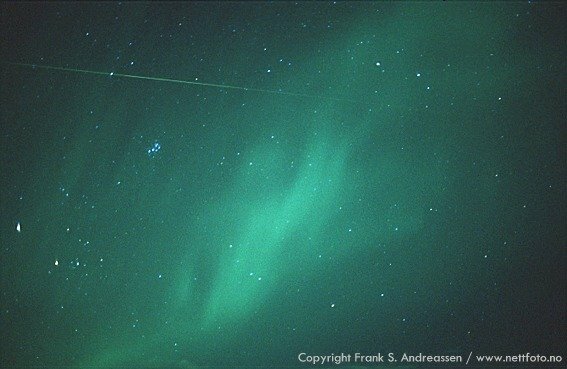 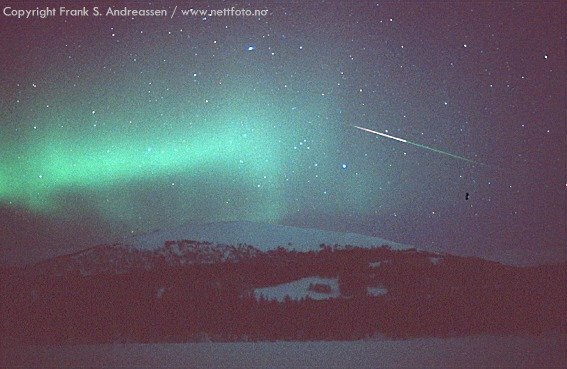 Nov. 18 #1, #2, #3, #4, #5, #6, #7, #8, more These splendid images capture many Leonid meteors racing through the Northern Lights over Norway. 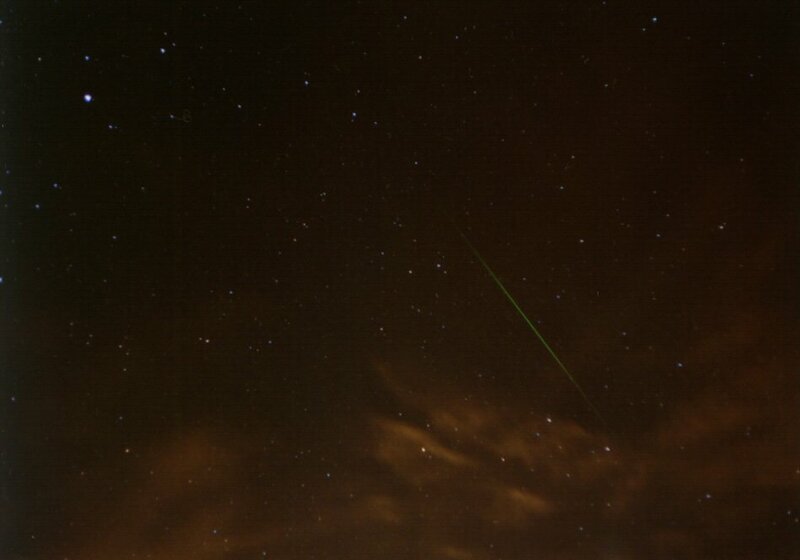 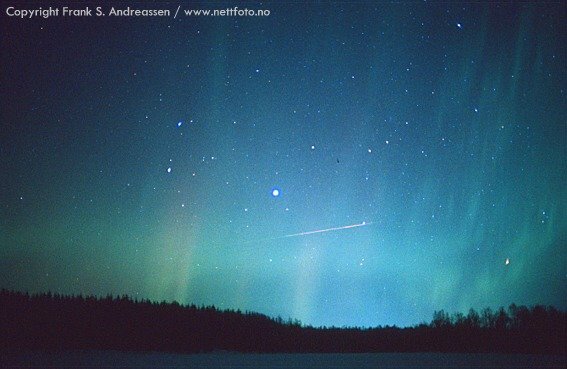 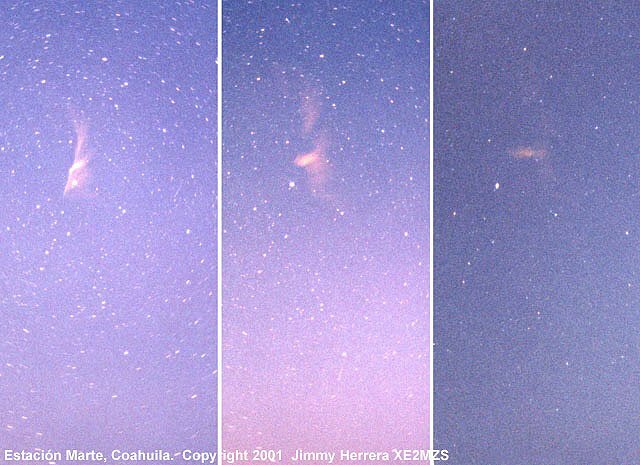 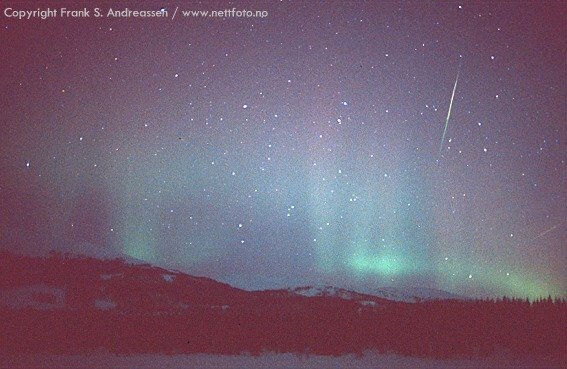 One of the photos shows a strange double meteor, too. 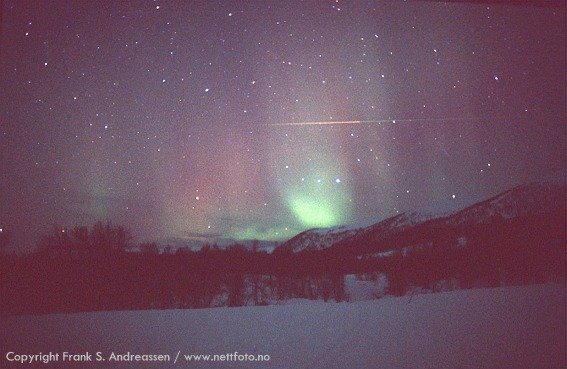 Photo details: Nikon F801s camera, 35mm f:1.4 lens and Fuji Provia 1600 film. 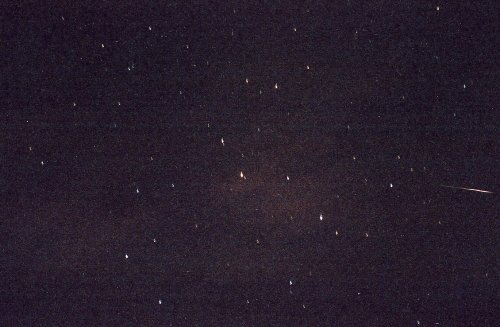 Exposure times from 7 to 12 seconds. 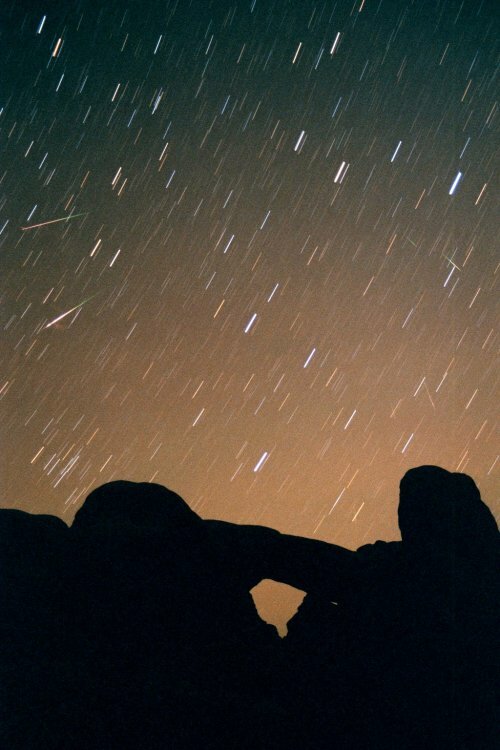 Nov. 18 #1, #2, #3 All of these photos show Leonid meteors (as many as 14 of them in one image) radiating from the constellation Leo, which is just rising above the "South Window" arch of Arches National Park in Utah. 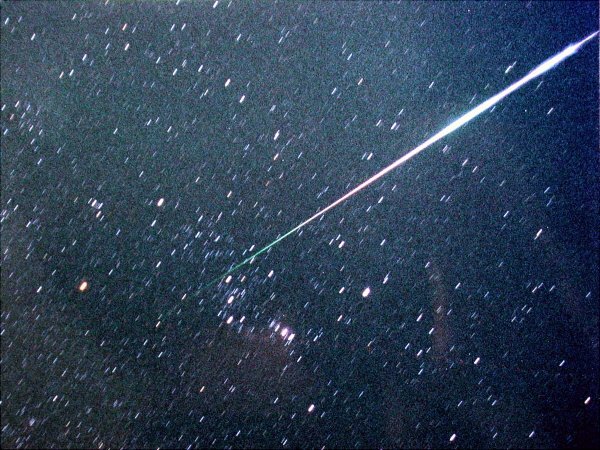 Nov. 18 #1 The thumbnail is no substitute for the beautiful full-sized version of this image, which clearly shows many meteors streaking out of the constellation Leo -- a pleasing illustration of the radiant effect. 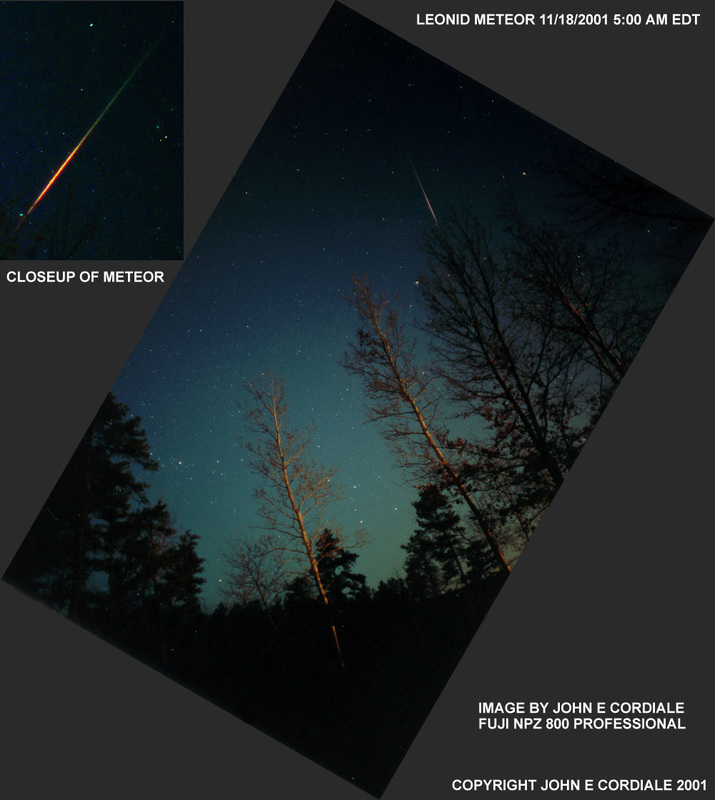 Nov. 18 #1, #2 More Leonid smoke trains! 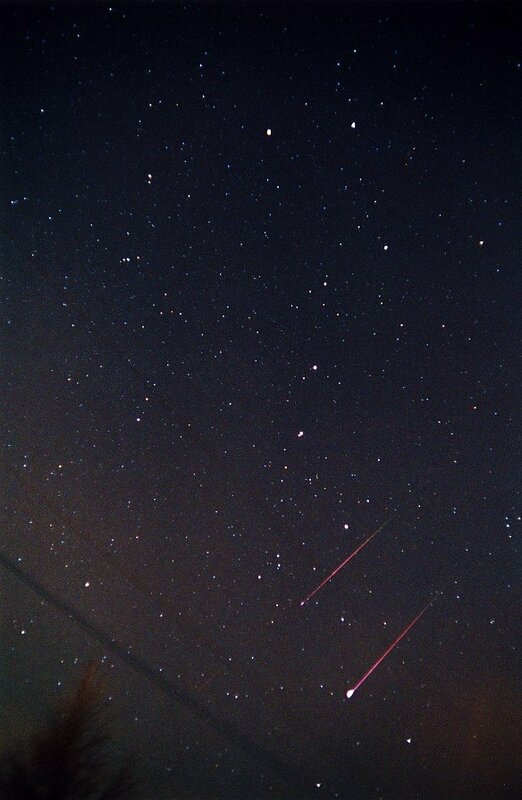 Photo details: Olympus OM-1; Kodak Gold ISO-800; 28mm f/2. 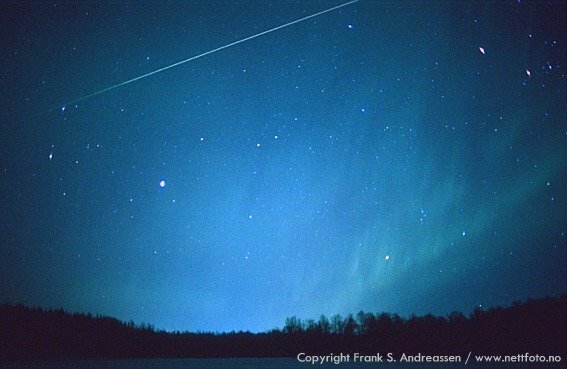 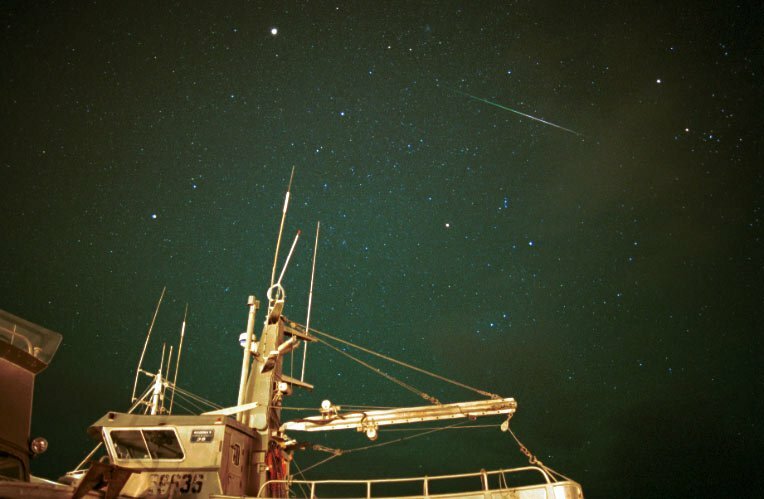 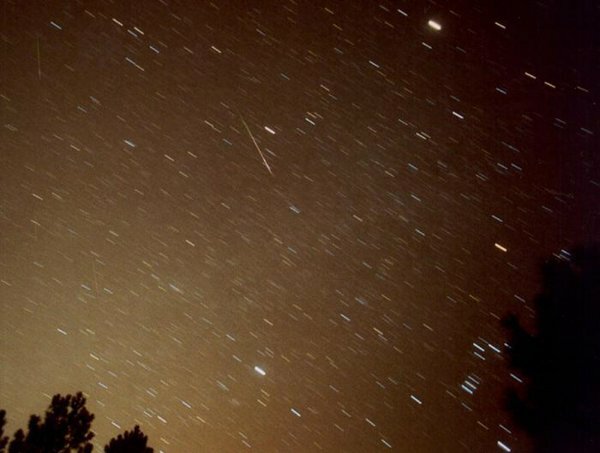 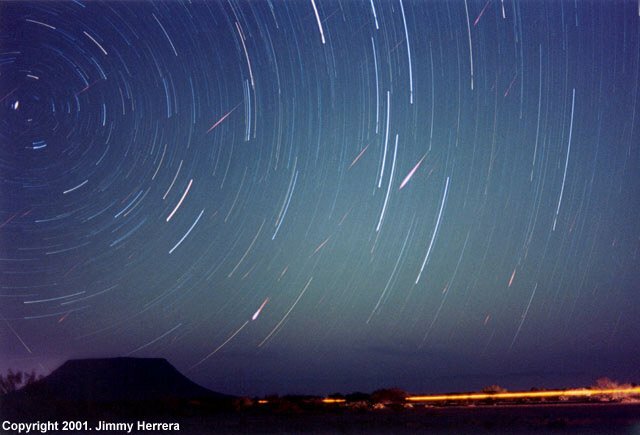 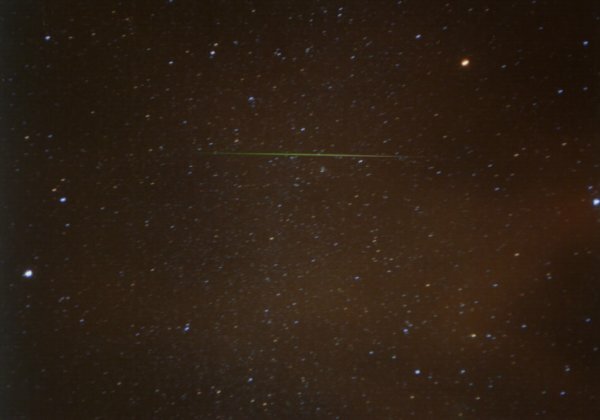 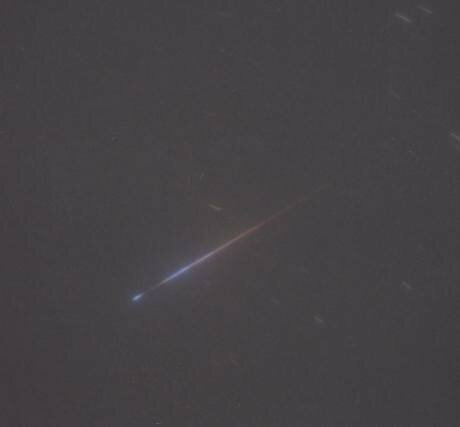 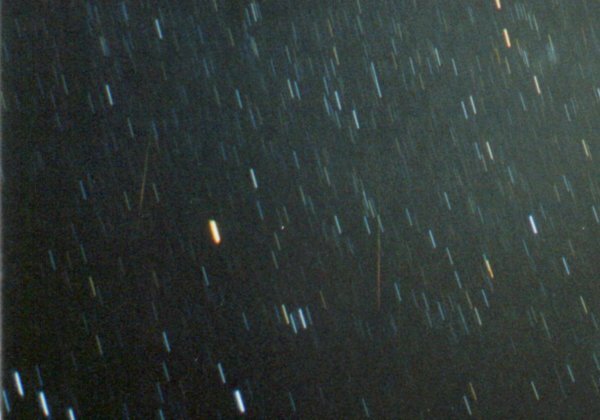 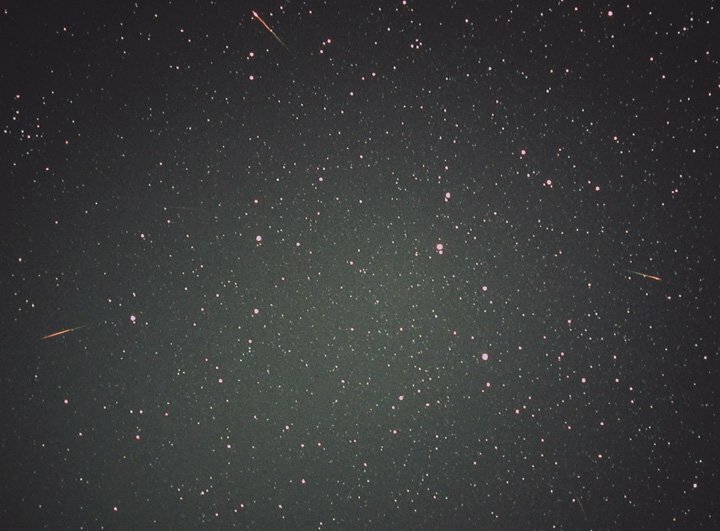 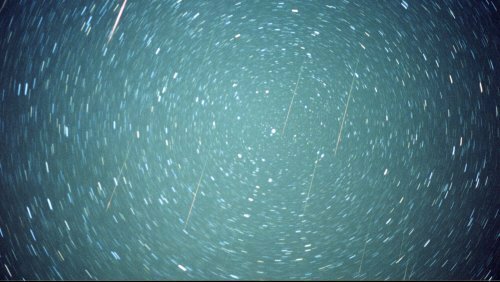 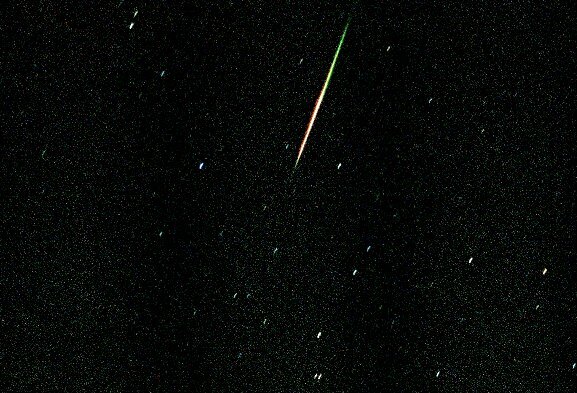 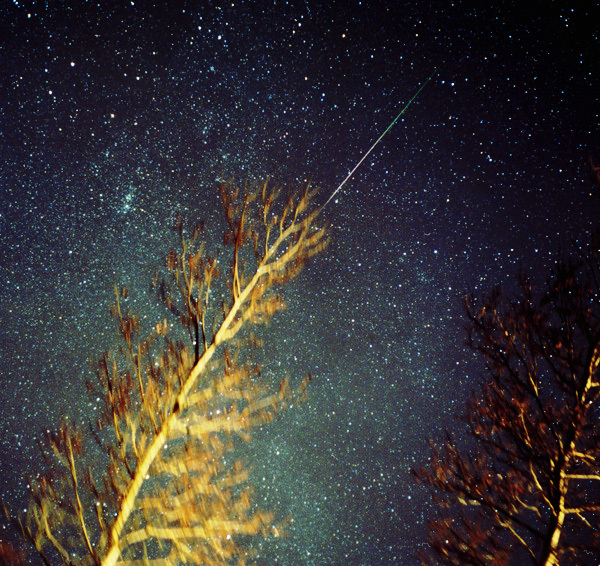 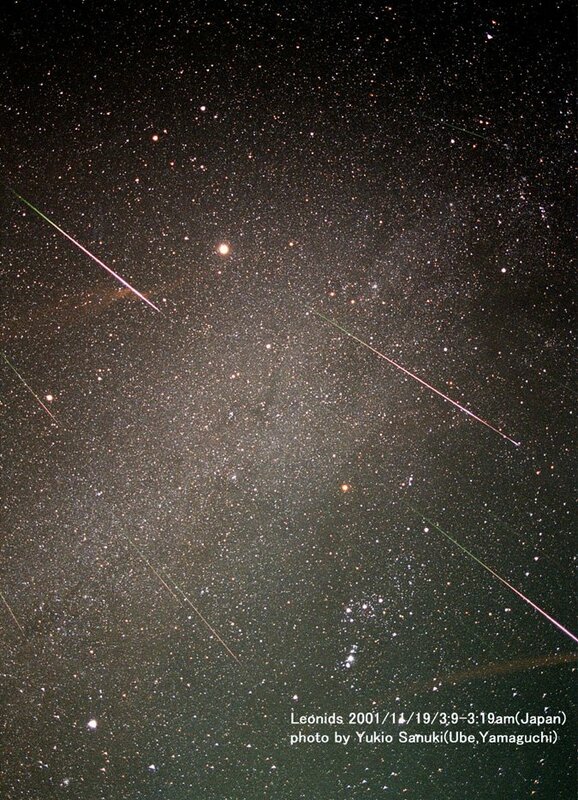 Nov. 18 #1, #2 These ten-minute exposures captured plenty of Leonid meteors! 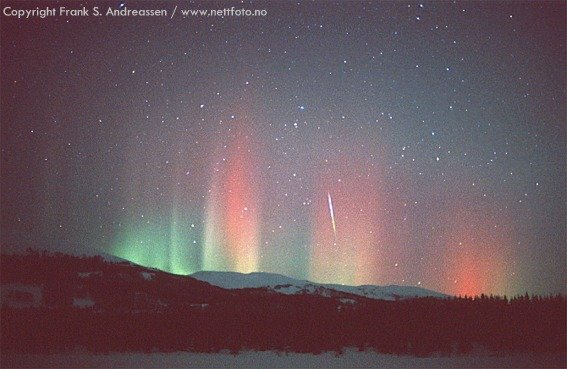 Photo Details: Canon AE-1 with Kodak Max 800 film through a 50 mm lens working at f1.8. 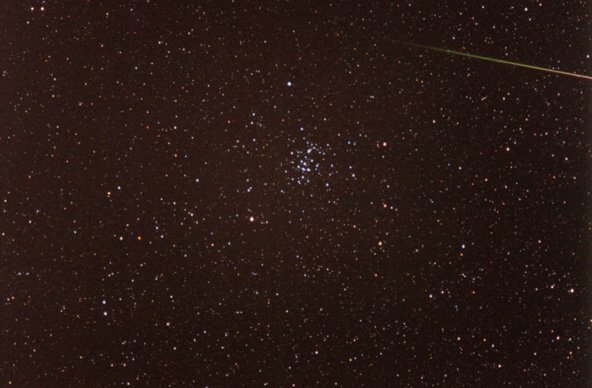 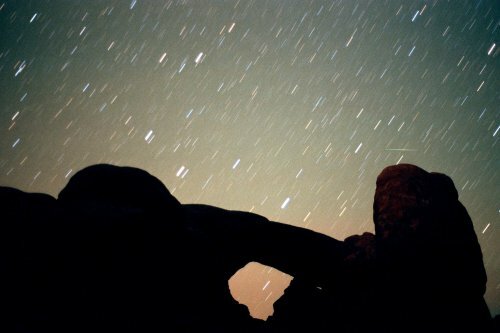 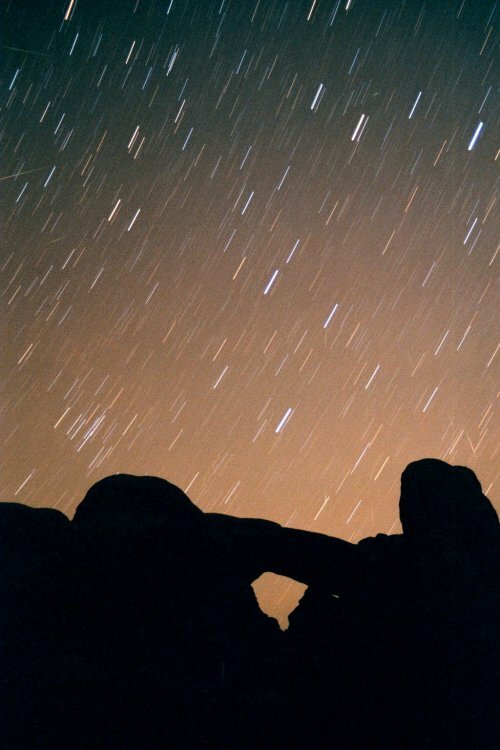 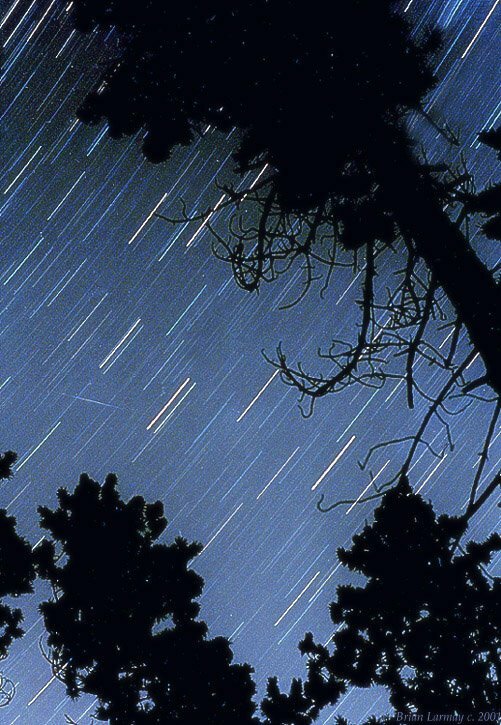 Nov. 19 #1 At least a half-dozen Leonid meteors appear in this starry photo. 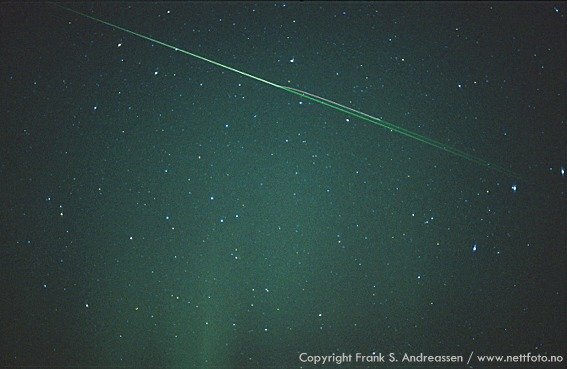 Nov. 18 #1, #2, #3 These images show a pair of green-colored Leonids streaking over the brightly-lit San Bernardino Valley in california. 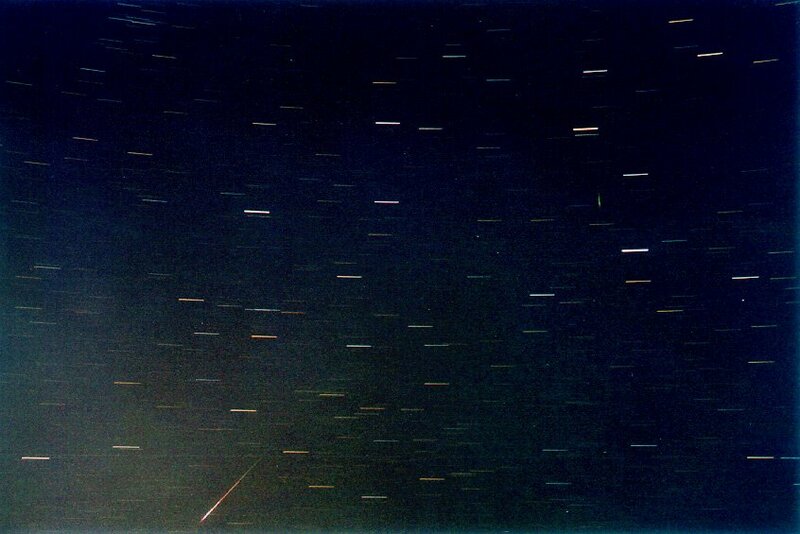 Nov. 18 #1 A pair of bright-pink Leonid meteors streaks through Ursa Mjor, better seen in the full-sized version. 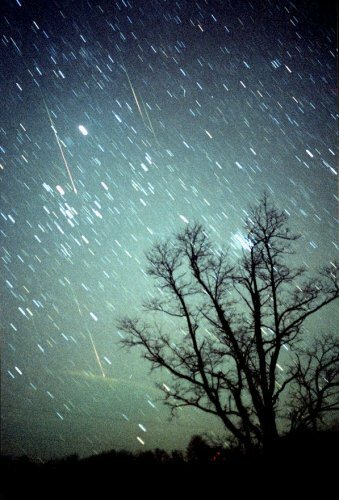 Photo details: 4-6 minute exposures, tracked; Yashinon lens at f/2.8; Kodak 400 film. 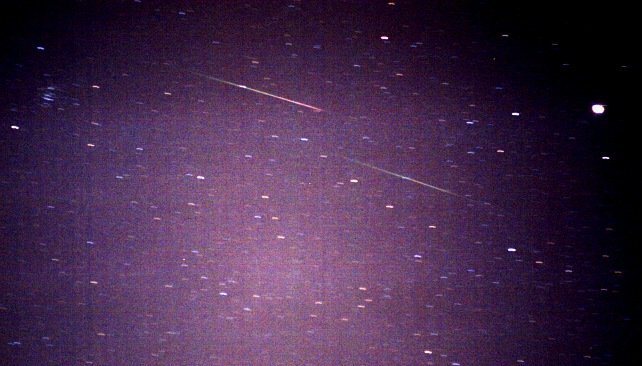 Nov. 18 #1 R. Pittman: "I captured two colorful Leonids between the Beehive Cluster in Cancer and Jupiter. 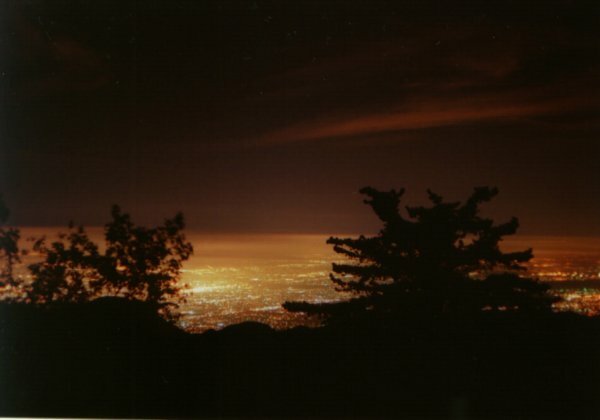 Photo Details: Canon AE1 camera, 50mm lens, f1.8, @60-90 second exposure."